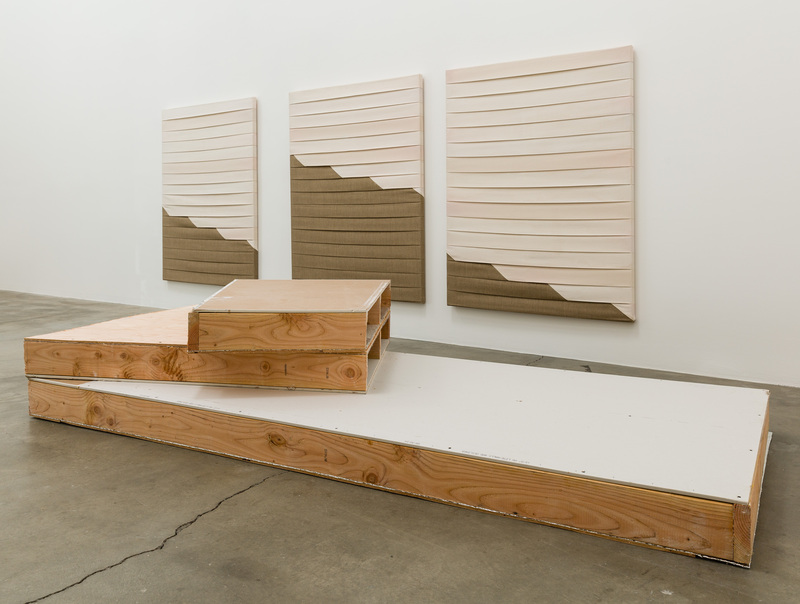 Anat Ebgi is pleased to announce the first Los Angeles exhibition of New York based artist Luke Diiorio, opening November 1 and on view through December 20, 2014. 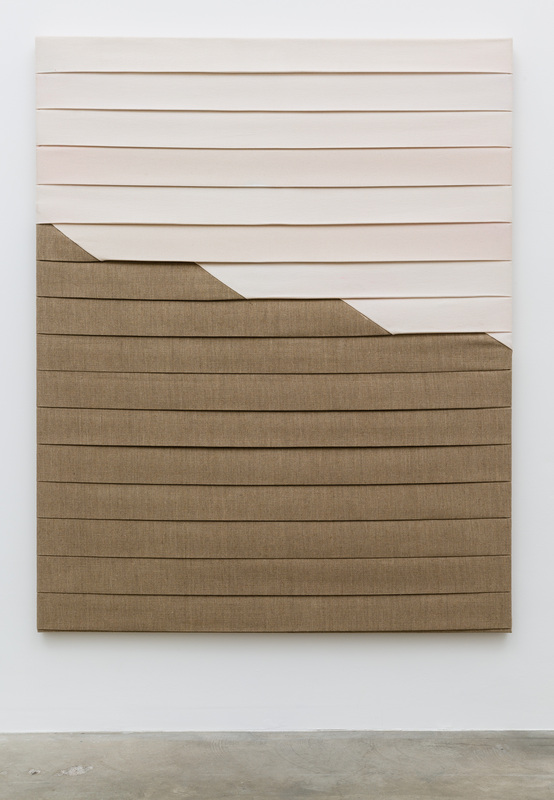 Luke Diiorio’s paintings are minimal compositions made of canvas and linen, methodically and repeatedly folded in a linear pattern. 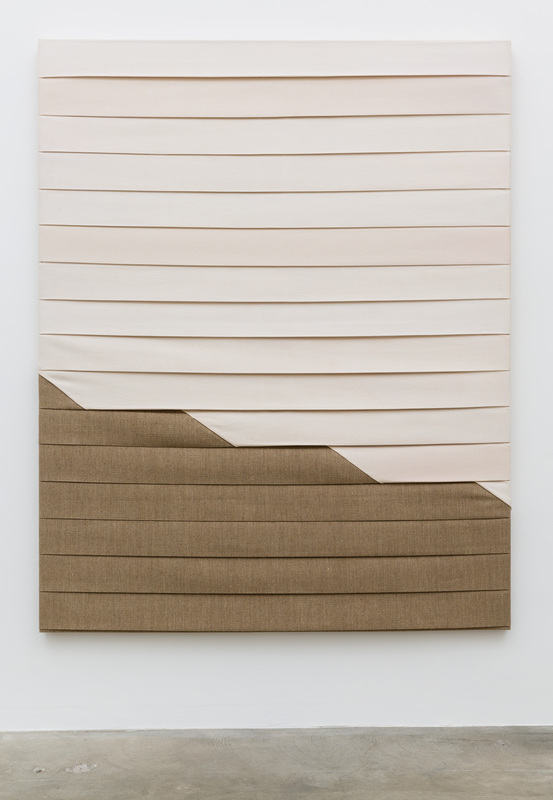 The folds of the works conceal much of the fabric— the physical process of folding leaves only one-third of the material visible. 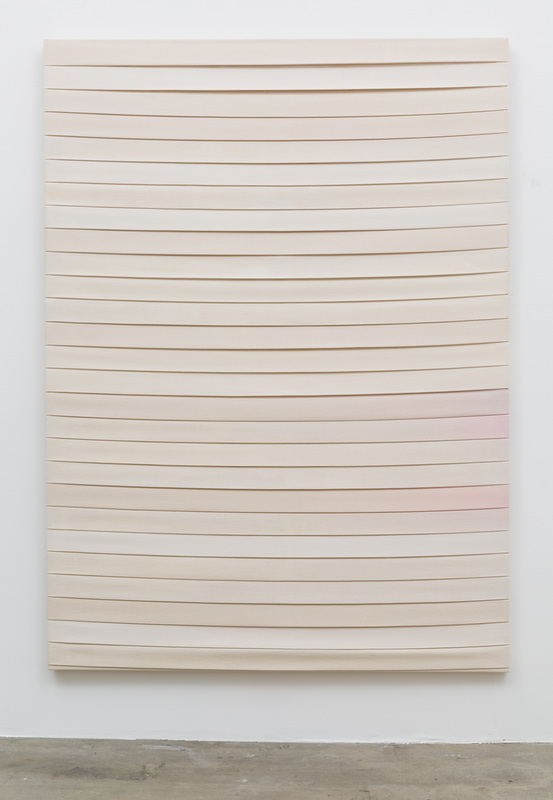 Through this process, Diiorio exposes the potential of repetition within material. 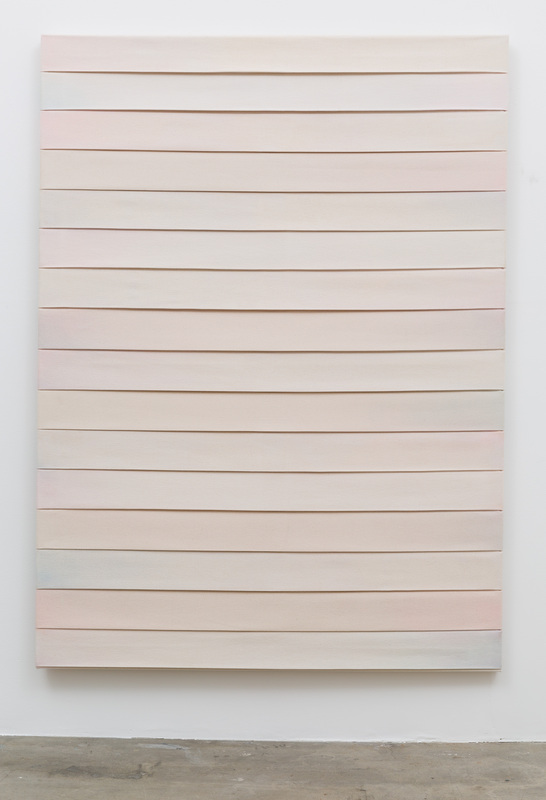 Almost completely neutral in color, the works are either bleached white with faint blotches of pigment or left in their original raw state. 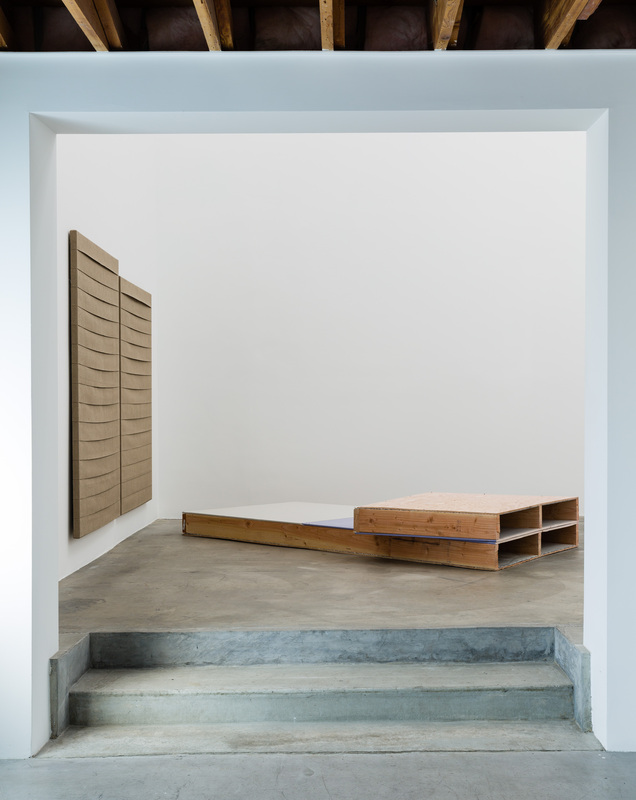 The presentation of the raw material is simultaneously the structure, surface and composition of the work. 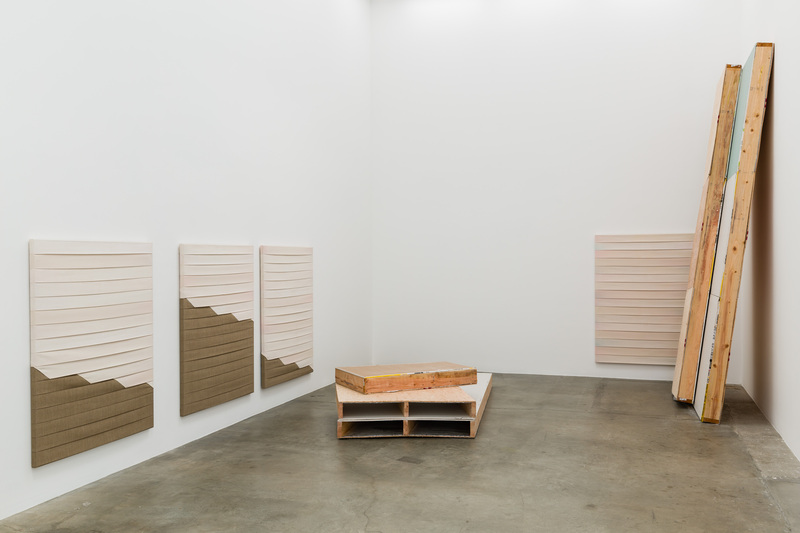 Alongside these paintings is an installation of site-specific sculptures of rough interior walls that have been sliced and collapsed upon themselves. 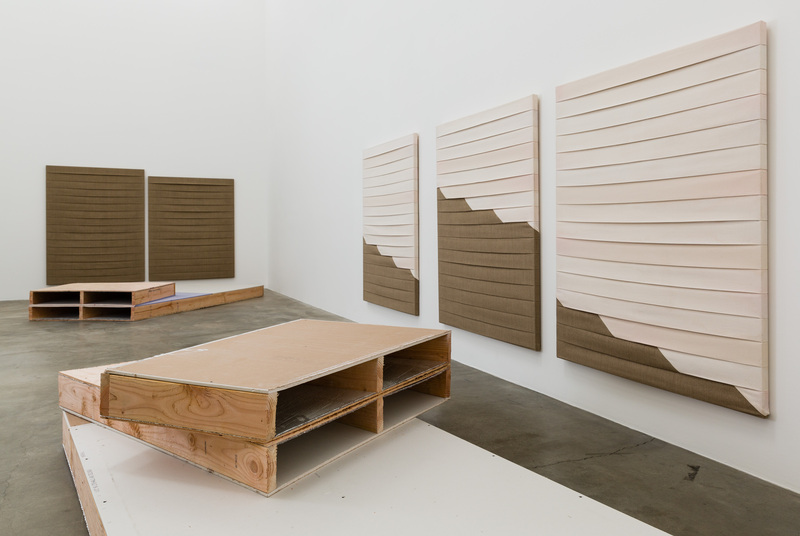 These “folded” walls contain all the necessary materials of a functional studded drywall, but the structures cease to operate as the objects they resemble. 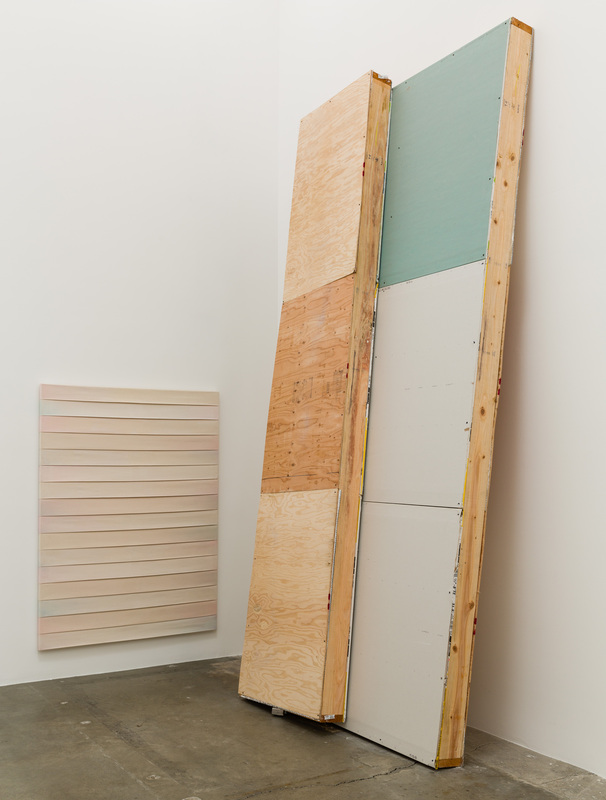 Both the canvas and walls are dissolved of their functional flatness— they can never go back to being a flat surface for other content. Like the canvas and linen of the paintings, most of the physical material is hidden beneath the surface and becomes an assumed presence; the invisible as important as the visible. 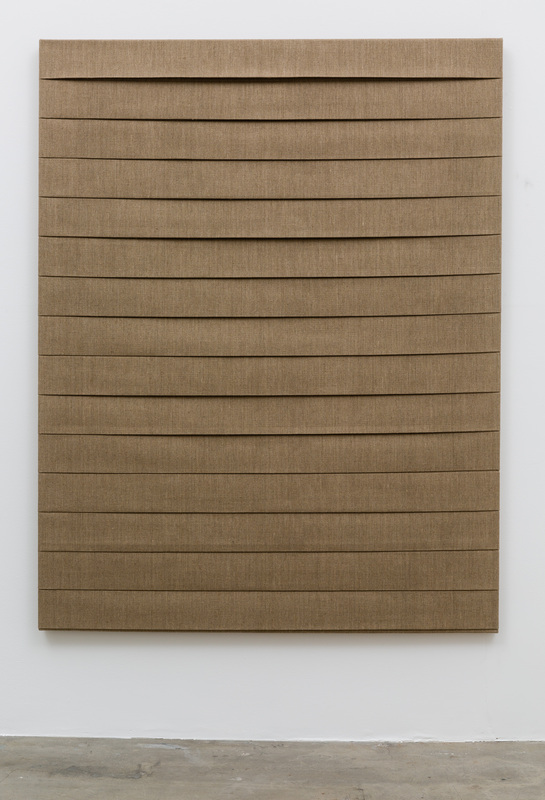 In an attempt to eradicate all narrative content from his work, Diiorio’s folded compositions exist as an artifact of pure gesture and material. Regardless of the works’ dependence on materiality and process, the sculptural works are indebted to an unmistakable presence of the artist’s hand. 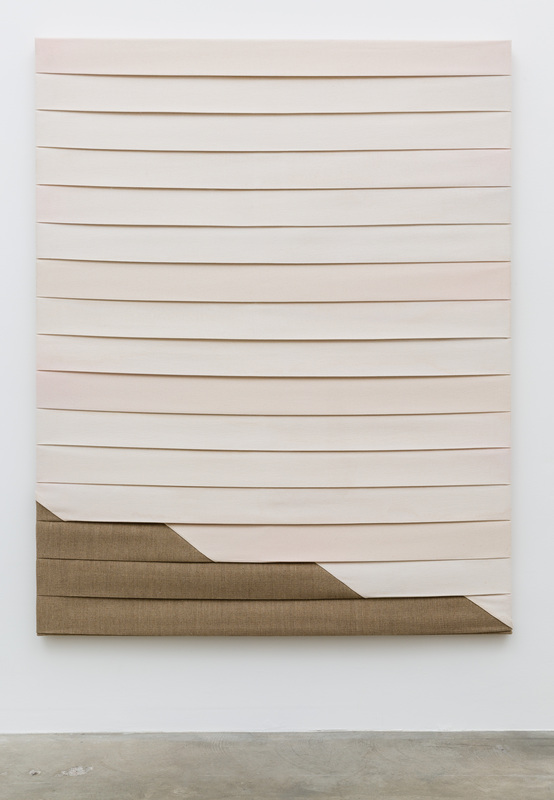 Drawing from sources like Agnes Martin whose hand-drawn gridded pieces appear minimal but are deeply imbued with indexical traces, each fold differs slightly from the next. The imperfect handmade quality of the works is something intrinsic, but faint and barely perceptible. 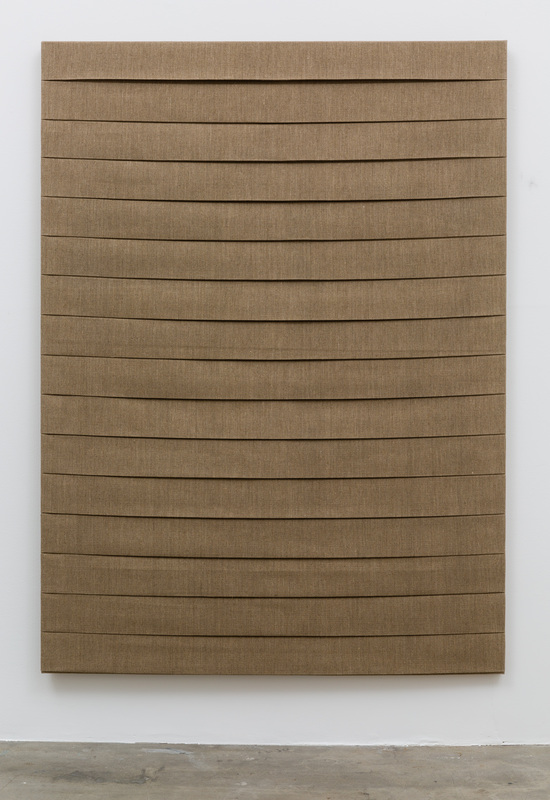 It is through tempo and repetition that the works can oscillate between opposites. By balancing the utilitarian and handcrafted; the visible and the concealed, Diiorio’s works become at once a dialectic and a tautology— each fold a meditative experience. Luke Diiorio (b.1983) lives and works in New York and received his MA from the Royal College of Art, London in 2013. 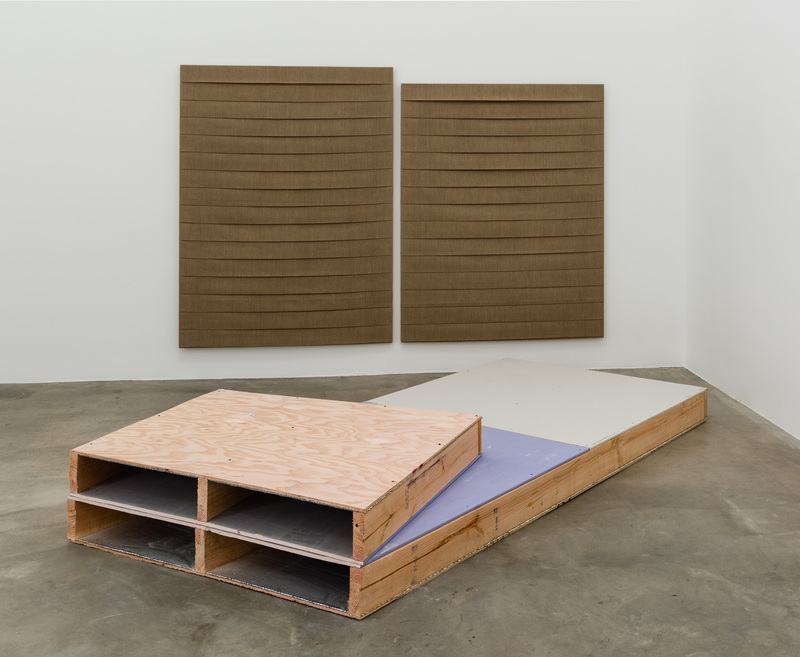 Recent exhibitions include a solo presentation at Robert Blumenthal Gallery in New York. Forthcoming exhibitions include group shows at Brand New Gallery, Milan and Kinman Gallery, London.